Home repairs are a fact of life for homeowners. Like everything else, homes age and break down over time. 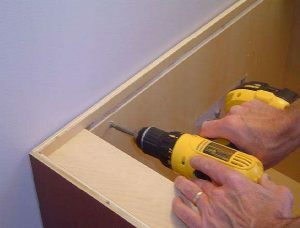 Some home repairs require the specific skills of certain contractors, while others can often be done by the moderately inclined do it yourself homeowner. Repairing a failed leach field, for example, will require the skills and heavy equipment of a septic installer. Fixing a leaking toiler flapper, however, is something that shouldn’t necessitate the need for calling a plumber. Being sufficiently skilled or motivated to make your own home repairs can save you a small fortune in costs over the life of owning the home. Every homeowner should own some basic tools so that they can make their own small DIY home repairs and to perform regular home repair maintenance tasks. In addition to owning some basic tools and having a can-do attitude, every homeowner should also spend some time learning some basic DIY home repair skills. To that point, its worth investing in a generic and all encompassing DIY home repair book, or spending some time surfing the net before beginning any type of home repair. Throughout my entire life I’ve been involved with maintaining homes, making home repairs, and even building home additions and homes. As a kid, I worked side-by-side with my father on a multitude of home improvement and home repair projects. And as an adult, and owning multiple homes, I’ve continued to do more than my share of home repair maintenance and home repair projects. I can’t imagine what I would have spent on my homes if I called in a contractor for everything that went wrong with my homes. Almost every couple of weeks something is in need of repair on the typical home, whether it be addressing a sticking door, fixing a toilet that is always flushing, removing ice dams, etc. The amount of things that can and do go wrong with owing a home is endless. And if it is not home repairs, it’s making home improvements or changes, such as repainting a room or installing new flooring. In addition to having the right tools and attitude, as well as sufficient knowledge, adequate funds to pay for the home repairs are necessary. Consequently, as part of any monthly budgeting system you have for maintaining your home and lifestyle, you should include a line item for home repairs. The monthly home repair budget should be set to a level that is proportional to the age of the home. Older homes have more unexpected problems, plain and simple, so plan on a larger home repair budget line item. Furnaces and well pumps, for example, can fail in an instant on older homes, and the cost of replacing and/or repairing them can be very expensive. Likewise, older homes require more regular home repair maintenance such has exterior painting and fixing older windows. So it is wise to set aside some money each month in the budget for making home repairs and performing home repair maintenance. Some of the more common diy home repairs that homeowners are faced with are plumbing problems. Inevitably faucets end up leaking, toilet wax rings and flappers fail, and drains get clogged. If there was any home repair topic a new homeowner should spend some time beefing up on, it’s in the plumbing department. Plumbers are expensive and you’ll need them often if you’re unskilled in making your own plumbing home repairs. Another common diy home repair project is painting, be it exterior or interior painting. It’s a wise idea to spend some time understanding types of paints and how to properly install them. In addition, when it comes to paint, its worth your time and money to spend a little extra on a quality paint. Cheap paints require multiple coats and they don’t hold up well to the environment. So on the day you break out the Champagne to celebrate the closing on your new home, make sure to also make a resolution to buy some quality tools and educate yourself on making your own diy home repairs. This way you’ll have some money left over each month to buy another bottle of Champagne, versus spending it on plumbers, electricians and other contractors to make your home repairs.